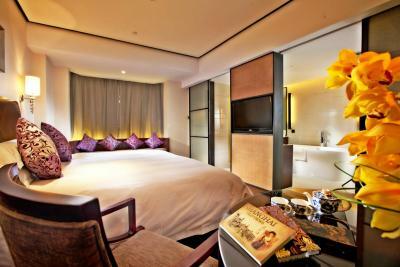 Lock in a great price for SSAW Boutique Hotel Shanghai Bund – rated 8.7 by recent guests! Location clean facilities. nice & profetional friendly staff. The room in general was lovely, very spacious and comfortable. Bathroom excellent. Breakfast was good with a varied selection. Location was excellent within walking distance to major sites and close to public transportation. Close to train station and YuYuan. Laundry machine is available. Nice breakfast buffet with reasonable price. The staffs were kind and very helpful. We arrived at the hotel around nine in the morning and they let us checked in early. The rooms were clean and spacious. The location was perfect! 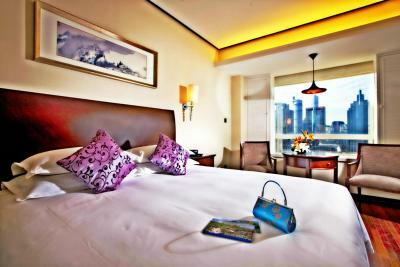 The hotel is approximately a 15 minute walk to the Bund and before the Bund is Yuyuan Garden. There are plenty of sites to see that are all within walking distance. Also the Yu Garden Metro is a block away and is a quick ride on lines 10 & 2 to the modern section of town where the famous Pearl Tower is located. The breakfast at the hotel had a wide selection of options to meet the needs of the diverse travelers. It was very convenient having breakfast before heading out for a long day of sightseeing. A side note...if you need a taxi have the hotel order one rather than finding one on your own. You'll be assured to get a taxi driver that is honest. Be very careful if you decide to order a cab on your own. It is very well located with a lot of things within a good walking distance. Breakfast was good. I wish they had better juices. Also for vegetarian, they should have separate boiling water for noodles. 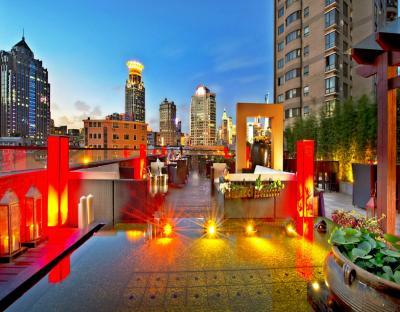 One of our top picks in Shanghai.SSAW Boutique Hotel Shanghai Bund is ideally located next to the Yu Garden and The Bund in the bustling Huangpu District. 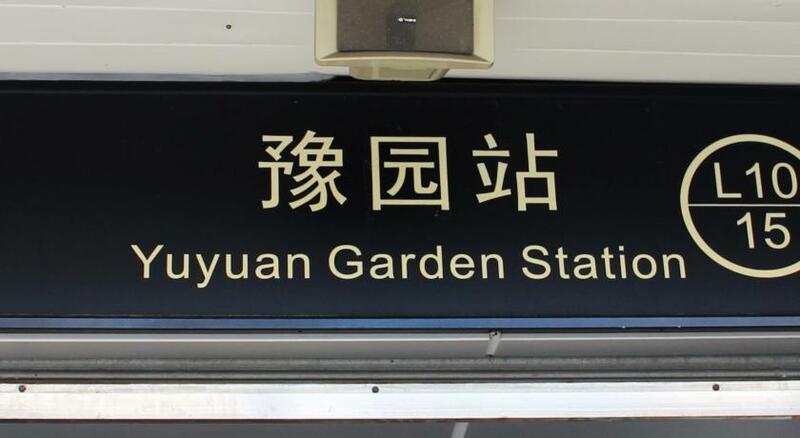 Yu Garden Subway Station on line 10 is a 2-minute walk away. Free Wi-Fi is available. 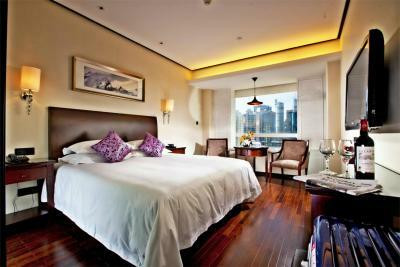 SSAW Boutique Hotel Shanghai Bund is in close proximity to People’s Square, Xintiandi and Nanjing Road. Hongqiao Airport is a 30-minute drive from this property. Pudong International Airport is a 45-minute drive away. Shanghai Disneyland can be reached in 40 minutes by car. All air-conditioned guest rooms come with free drinks from the mini-bar, coffee and tea facilities, an in-room safe and flat-screen cable TV. To ensure the sleep quality of guests, all rooms are equipped with a black-out curtain and branded mattresses. The hotel lobby offers complimentary Italian coffee and tea. Chinese and English books are free to borrow from hotel's library. On warm days, guests can enjoy their breakfast, lunch, afternoon tea or dinner on the outdoor patio with stunning skyline views. There is also a fitness center and children's playground. Massage and laundry services are available upon request. 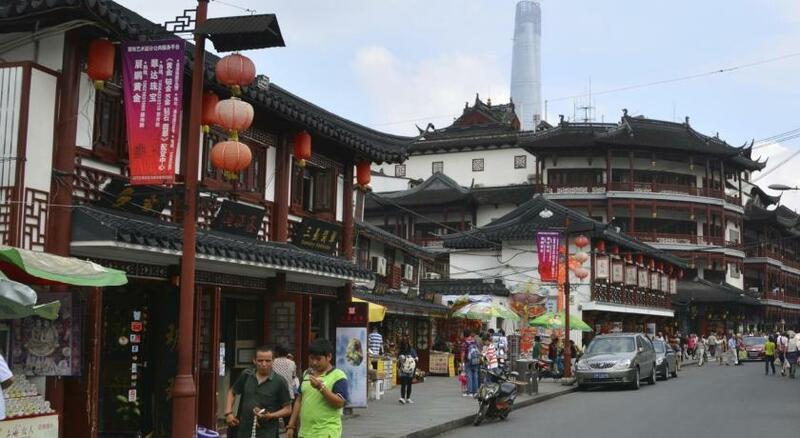 Huangpu is a great choice for travelers interested in shopping, architecture and sightseeing. This is our guests' favorite part of Shanghai, according to independent reviews. 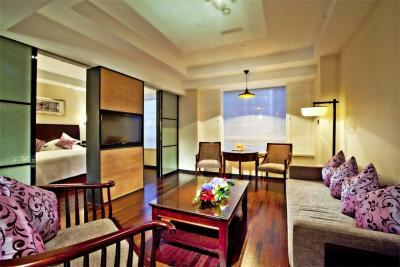 This property also has one of the top-rated locations in Shanghai! Guests are happier about it compared to other properties in the area. 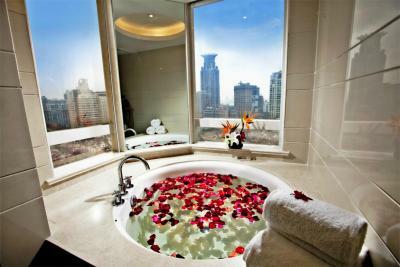 When would you like to stay at SSAW Boutique Hotel Shanghai Bund? 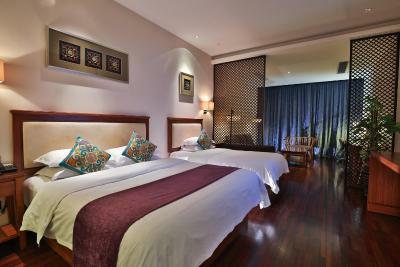 Large room comes with free Wi-Fi, free toiletries, a minibar and iPod docking station. Spacious suite features a separate living area, 2 TVs and a bathroom with a bathtub. 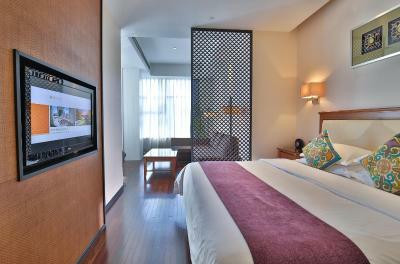 Large room comes equipped with free Wi-Fi, free toiletries, a minibar and iPod docking station. Please note that there is no capacity for extra bed in the room. The larger room comes with a king size bed and a iPod Docking Station. The private bathroom provides either a bathtub or hot-water showers. Room features a iPod docking station, an extra long bed and a comfortable sofa. The private bathroom comes with either a bathtub or hot-water showers. 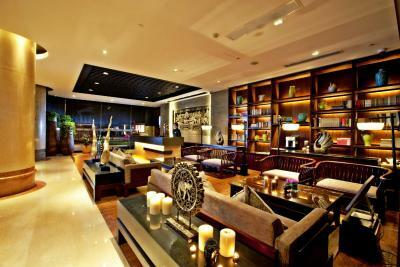 On 2 – 3 floors, room comes with free Wi-Fi, free toiletries, a minibar and iPod docking station. Room includes a double bed and an extra bed. This twin/double room has an electric kettle, minibar and sitting area. Please note that the bed configuration and room type will be confirmed upon arrival, subject to availability. This double room features a electric kettle, iPod dock and mini-bar. This twin room has a mini-bar, seating area and electric kettle. This family room features a mini-bar, iPod dock and air conditioning. This double room features a seating area, iPod dock and air conditioning. This twin room has a seating area, electric kettle and mini-bar. Hotel surroundings – This neighborhood is a great choice for travelers interested in shopping, architecture and sightseeing – Check location Excellent location – show map Guests loved walking around the neighborhood! Pedestrian Street of East Nanjing Rd. House Rules SSAW Boutique Hotel Shanghai Bund takes special requests – add in the next step! One older child or adult is charged CNY 200 per person per night in an extra bed. 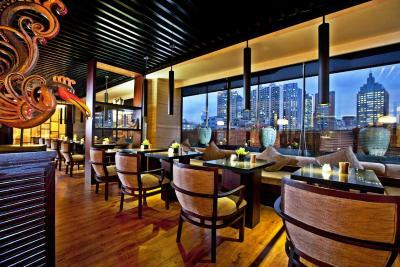 Greatwall Peony Dragon Pacific Jin SSAW Boutique Hotel Shanghai Bund accepts these cards and reserves the right to temporarily hold an amount prior to arrival. SSAW Boutique Hotel Shanghai Bund accepts these cards and reserves the right to temporarily hold an amount prior to arrival. Please note that the hotel will collect a refundable deposit upon check-in for incidental charges. All in-house guests may enjoy a complimentary mid-night snack between 22:00 and 24:00. Location and staff had little knowledge when giving us directions. Staff serving food could be more friendly. We still have not received our deposit back from our stay, despite sending a message to the hotel to question this. Poor lighting and creaky floorboards in our room but not a real problem. Fantastic Service, we were allowed in our room really early, we only went to drop off our luggage so we could sightsee but they let us in straight away! Room was VERY comfortable, free breakfast buffet was great and late night free snacks were amazing. (1st for us) The young lady on the front desk was so helpful and called us a taxi and helped take our bags out. So handy to subway also. Would stay again if we got the opportunity. Location. Close to metro and Bund. Pain au chocolat was very flaky along with the variety of food for breakfast! Reception were always very helpful! Plenty of bottled water available also! Everything. Location near Subway and the Bund. Free supper around 10pm. Great breakfast spread. Coffee machine in room. Drinks and snacks in mini fridge are complimentary. Free laundry facility. I believe I have found my home in away home in Shanghai.